A secure website should be factored into your plans from the very moment you decide to invest time, money and energy into building a WordPress property. Whether you author a personal blog, operate a mid-level eCommerce site or own a large-scale business, security for WordPress is a priority that you cannot afford to ignore. Cyber-crime is a growing threat all over the world, yet it is also one that can be avoided by taking the right precautions early on. Educating yourself on how to create a more secure website is a great start. Websites designed with WordPress appear to be gaining in popularity. This popularity does not seem to be without cost, however. Currently, WordPress appears to be the most heavily used Content Management System (CMS) targeted in recent attacks. 1. The first strategy for creating a more secure website is to make sure you are working with the latest, best and most secure tools made available to you. In most cases, this involves a one-click solution from within your WordPress dashboard. This essential action may be overlooked if close attention is not paid. In a matter of minutes, SecureScanPro can help you create a more secure website by scanning your WordPress site for vulnerabilities and attacks. It can fix these issues and provide your Internet property with adequate security to prevent future attacks. Easy to install and use, this plugin was specifically designed for site owners who want a more secure website, but do not have a lot of technical experience. SecureScanPro also offers detailed explanations of each website security risk facing your site. Furthermore, it emails you notifications each time a hacker attempts a brute-force attack. Gaining awareness about security, specifically the prevalence of website hacking and why it occurs, helps in developing a vigilance against such crimes. Of course, the financial gain associated with attacking data and commerce sites is always among the most common reasons hackers wage these harmful intrusions. Financial incentive however is not always a main factor. 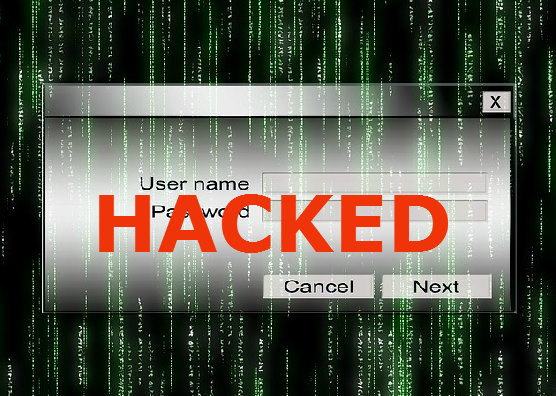 Hackers seem to attack sites for a number of other reasons including personal satisfaction attained in successfully doing so, gaining reputation within hacker communities, as well as various social and political reasons. In taking all of this into consideration, it is never good to assume that a site is safe from becoming a target. Know the threats working against your efforts to maintain a secure website and protect yourself accordingly. Distributed Denial of Service (DDOS) attacks appear to be an activity currently favored by hackers targeting websites designed using WordPress. DDOS attacks come in a variety of forms with some causing a website to severely slow down and, in many cases, even come to a screeching halt. While developers and security experts work hard to undermine the efforts of cyber-criminals waging these strong attacks, they cannot do the work alone. The ultimate responsibility for a secure website falls squarely on the shoulders of the site’s administrators. Mohit Kumar, Editor-in-Chief of The Hacker News, shares how hackers can attack hundreds of sites in a matter of seconds. “We found that in 26 seconds an attacker was able to perform DDOS attacks from 569 unique compromised WordPress blogs…” (Kumar, 2013). Whether you are an experienced website owner or a novice, it is never too late to begin strategizing toward a more secure website. In fact, you owe it to yourself and all of your visitors to immediately implement these key strategies in order to keep a close eye on your site’s security moving forward. Each moment you neglect doing so is a moment that your passwords, content, list information and sensitive customer data is vulnerable. Results of a recent survey administered by the accounting and professional services firm, Ernst and Young, revealed that the overwhelming majority of business owners do not know enough about cyber-security and do not properly employ individuals who do (Kessel & Allan, 2013). Many of these same businesses surveyed feel neither prepared nor safe from cyber-attack, yet admit to lacking the financial budgets to take preemptive measures against hacking scenarios. As Internet users become more concerned about things like malicious software (malware) being gained by visiting certain websites– even those of legitimate and well-known brands, more and more are concerned about a site’s security rating. Often, such is determined through the use of a browser plug-in or some other computer software designed to protect content consumers from malware. Making a sincere effort to maintain a secure website, then, also becomes a strong marketing tool in addition to a precautionary business one. By keeping your WordPress site’s theme and plugins up-to-date, regularly scanning your site with SecureScanPro and removing inactive sites from your server, you can significantly reduce the likelihood of your site being hacked by cyber-criminals. Congratulations on having taken the first step toward a more secure website. Just by realizing this need and moving forward in educating yourself you are one step ahead of the majority. There’s no need to keep your site or your customer data in a risky state any longer as effective solutions exist.